In 1996, filmmakers Leslee Scallon and Michael Trent made a $50,000 film only to be turned down by every festival. So they organized a festival of their own - it featured their film and fifteen other starless, low-budget indies. Imagine this scenario: You recently got divorced, are now a single mother, your father has passed away and you are running a startup. You have exactly six weeks of funding left when your business partner has a heart to heart conversation where he politely bows out of the business. Menahem Golan -- half of the Go-Go Boys team that stormed Hollywood in the 1980s and departed in disgrace -- just died in Israel at age 85 of natural causes. Going to a club and handing a cute lesbian a flyer that says, "Come to our fundraising event!" feels so basic compared with treating your movie like a person, giving it a Twitter handle, and then wondering, "What would my movie tweet today? What does it have to say?" The Global Search For Education: Where is the next Kathryn Bigelow? The tale of how Nayla Al Khaja became the United Arab Emirate's first female independent film maker is like the script of a drama itself, filled with hidden ambition, sacrifices and heartbreak. As we approach the Oscars, another film based on our 16th president, Saving Lincoln, has been nurtured into life by a team of filmmakers who approached it with a unique vision and a desire to create a kind of film no one had ever seen before. I object to the idea that the personal and the political have nothing to do with each other. I suspect it is precisely this divided consciousness that makes for a political culture as brutal, unkind and ineffective as the one we endure today. Dozens of filmmakers from 13 different countries are preparing to bring their films, their dreams and their hopes for success to the third annual New Hope Film Festival. Sometimes I can't help myself, and I do the worst thing imaginable in modern society. I read comments online. I'm not proud, but I've found some recurring themes about me and my new movie, God Bless America, that I'd like to address. Now that Kickstarter has become a permanent fixture of the independent film community, it can be difficult to sift through all of the projects on offer. To help you narrow it down, here are my picks for five films worth donating to this month. My favorite Sara Driver story involves her 1981 film of Paul Bowles's short story, You Are Not I. This weekend You Are Not I screens in a retrospective at Anthology Film Archives. 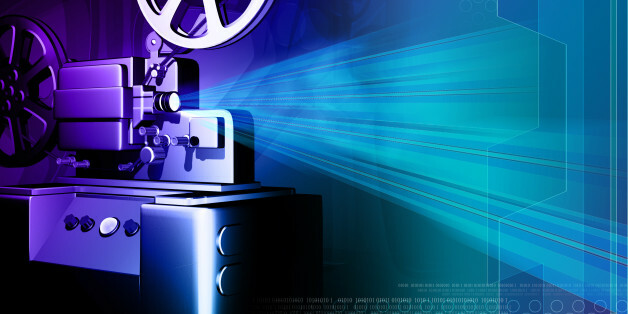 As we start off 2012, I wanted to take a moment to lay out what I think are some of the brightest and biggest trends to watch for -- things that are going to affect independent film audiences and filmmakers in the year ahead. Joshua Leonard -- better known as 'that kid' from The Blair Witch Project -- is still kicking, and his feature film directorial debut The Lie, opens in theaters this Friday. Mullen, who did triple-duty on the film -- actor, producer, and soundtrack supervisor -- recently talked to us about his "baptism by fire," his acting method, and what it was like to work with an icon. On the one hand, we want to preserve our natural environment; on the other, everything we do to grow our economy and preserve our standard of living disrupts the natural environment and our relationships with it. The creators of the festival were seeking to raise awareness in a way that Human Rights Watch's research and reports could not -- in a way that spoke to people on an emotional and personal level. It is not enough to be entertained with acclaimed performances for their own sake, we deserve meaningful, well constructed films that give us a little insight that we didn't have when we walked into the theatre..